Bayan Airag Camp where employees reside while working at the site. Mobile equipment maintained and repaired at the Mine Mechanical Workshop. Process plant and reagent storage area. Haul truck moving ore from the mine to the crusher. 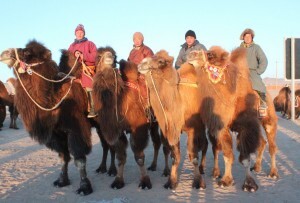 The purpose of the festival is to increase the number of two humped camels in Durvuljin soum, promote winter tourism and local herders to exchange their experience. 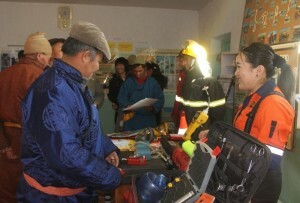 Every year, Bayan Airag Exploration LLC organizes an “Open Day” event to report its annual operation for all citizens of Durvuljin and Erdenekhairkhan soum. Welcome to the Bayan Airag Team! We are pleased to have you as member of Bayan Airag team and wish you all the best and success in your professional career. 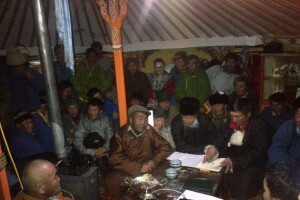 Every member of our team is fully dedicated to our goal of implementing responsible and sustainable mining in Mongolia. I would like to express my gratitude and sincerely wish all the new employees, who chose our company, the best with their future works, health, and well-being. One of the key attributes to the success of any project is its employees. At Bayan Airag we see that the development and growth of the employees is critical to the success and growth of the company.